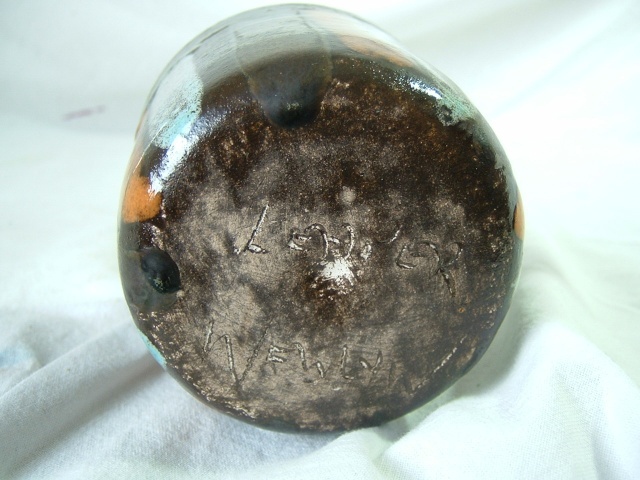 back to Eric leaper now,I think this is a posy vase but possibly a night light? A Parliament of owls ! 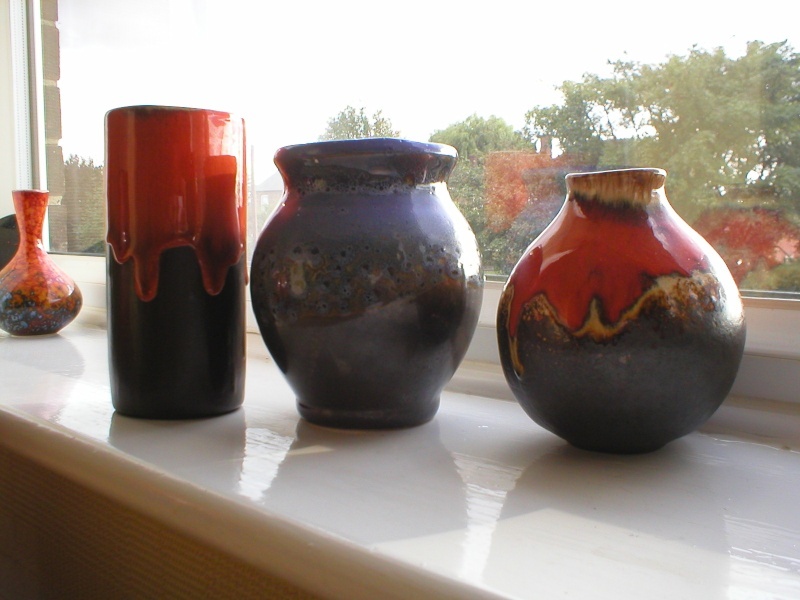 Hi Dan, the blue/black vase in the middle is by Erics son Simon Leaper, they worked together for a while. 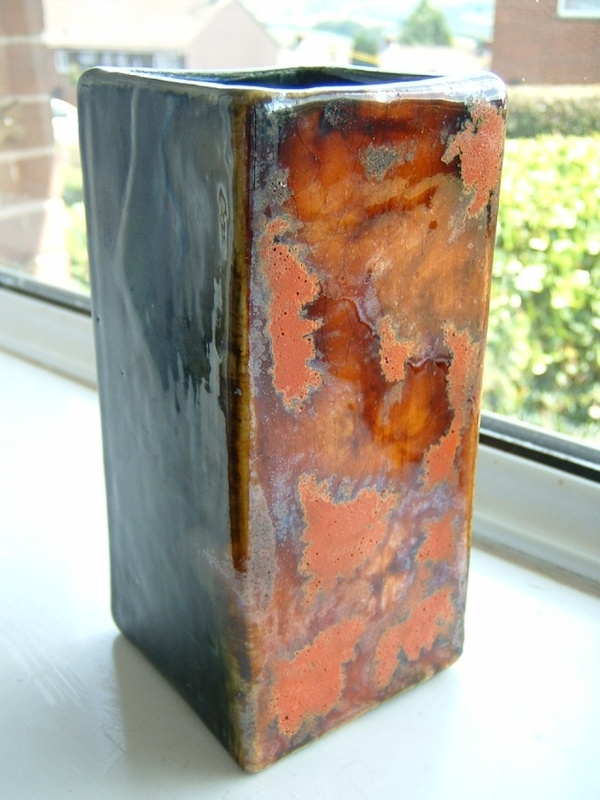 I bought this huge vase about two years ago from a local gallery it was a bargain, not seen another one like it in all my years of collecting, I also have not seen any of the white and orange square pots/ashtrays before only all orange ones, great glaze what. 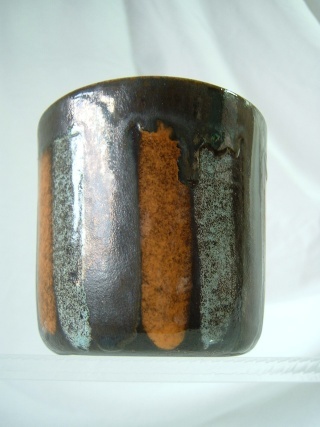 Measuring 15 inches high and glazed to just the front, signed.